The view of Glacier Gorge from Mills Lake is breathtaking both morning and afternoon. The view looking north from Mills Lake back towards Otis Peak, The Glacier Knob and Flattop Mountain is also spectacular, especially when the lighting is favorable. 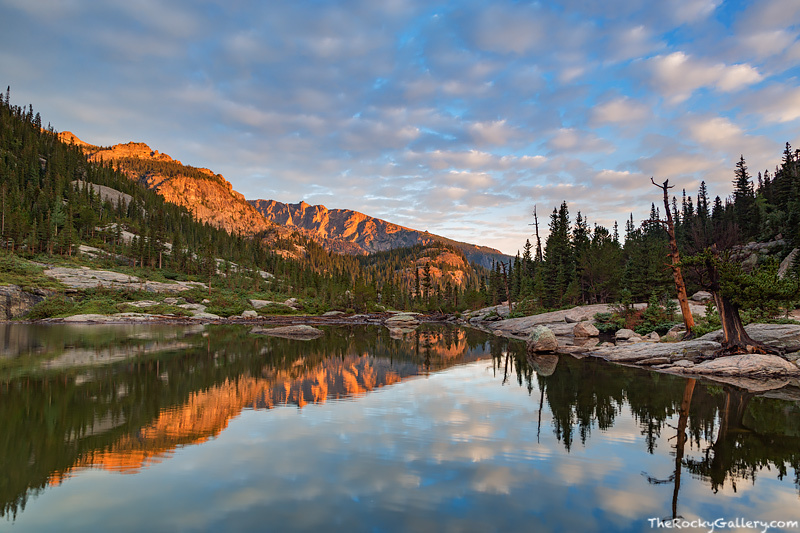 Beautiful puffy clouds glide over Mills Lake and create a facsimile like view of the peaks bathed in golden light. Photo © copyright by Thomas Mangan.